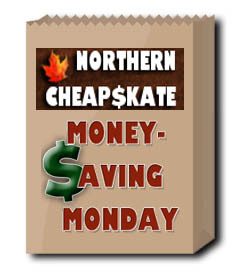 Happy Money-Saving Monday! I’ve got some great mail-in rebates and hot new coupons to share with you! Just see how you can save! Get a free piece of KFC Original Recipe Boneless chicken if you are first 100 guests at KFC between 2 p.m. and 4 p.m. on Monday, May 6, 2013, to say “I ate the bones” or request a free piece. Get a free sample of Color Scents trash bags on Facebook. Nurses get a free Cinnabon Classic Roll or Minibon Roll at Cinnabon May 6-12 when you show your healthcare ID badge. Get a free sample of Ovaltine Stick Packs on Facebook. Get a free sample of MiO Fit when you share how you stay fit on Twitter or Vine. Costco members can get a free sample of Metamucil Sugar-Free MultiHealth Fiber & Align Probiotic Supplements. Get a free sample of L’Oreal Paris Advanced Hair Care products. Save $1/1 Hawaiian Punch Aloha Morning. Save $.50/1 Johnson’s Baby product. Save $1/2 Dole All Natural Fruit Jars. Save $1/1 Jennie-O Fully Cooked Sausage. Save $1/3 General Mills Big G cereals. Save $1.50/2 Tide Detergent or Tide Boost. Save $1/1 Breathe Right product 10ct or larger. Save $4/1 Sally Hansen nail color. Save $.45/1 4-pack double roll or larger Angel Soft® bathroom tissue. Save $1/2 Hefty Slider Bags (12 count or larger). Get a coupon for Buy One Get One Free on any one (1) 13 oz Garnier Fructis Shampoo or Conditioner. Save $1/1 Sparkle Paper Towels Package (6-pack roll or larger). Save $.75/1 Molly McButter product. Save $.75/1 Sugar Twin product. Save $.50/1 Mrs. Dash product. Save $1/1 Johnson’s Baby Oil product (excluding sizes 1 oz. to 4 oz.). Save $.75/1 Desitin product (Excludes trial sizes). Save $5.25/2 Enfagrow Infant and Toddler Formula (9-18 months old). Save $1.10/3 Dreyer’s’ Outshine fruit bars or Dreyer’s fruit bars (6-count or larger). Save $5 on Women’s Merona shoes at Target. Save $2 on select Women’s sandals at Target. Rain-X. Get a Rain-X Perfect Dose Car Wash for free after mail-in rebate (up to $10.99). Your purchase must be made between 5/03 and 5/10/13 to qualify. Neosporin. Get a free Neosporin Essentials Trial Pack after mail-in rebate (up to $13.99). Your purchase must be made between 4/28 and 5/12/13 to be eligible. Kaplan. Enroll in a Kaplan MCAT Classroom Anywhere or MCAT On Demand course before 5/08/13 and get $300 back by mail. Get two subscriptions to All You Magazine for the price of one. Keep one for you, and give the other away! Get a custom grocery tote bag from York Photo for $1 when you use the code TOTELOVE. Shipping starts at $3.99. Save 40% on one item plus get free shipping on orders of $50 or more at Lands End. Just use the code MOUNTAIN and the pin 4290. Buy one item at Ann Taylor and get one 50% when you use the code GETBOGO. Some restrictions apply. Get an iPad Mini for $299 at Walmart while supplies last.